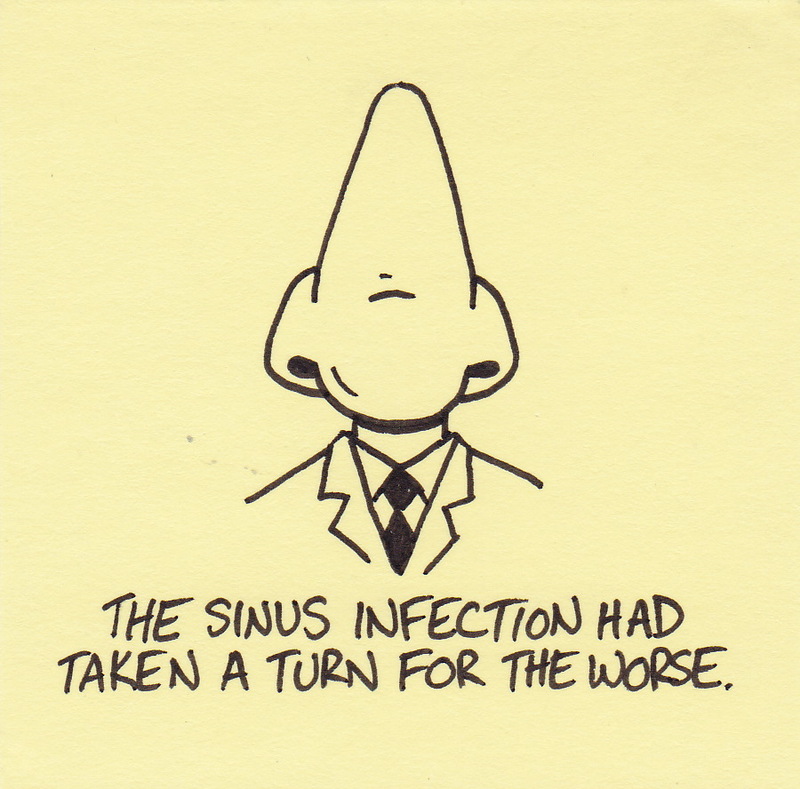 Firstly, drawing a disembodied nose that looks like a nose is difficult. Secondly, drawing a disembodied nose that doesn’t look like something you would see in crude graffiti is even more difficult. 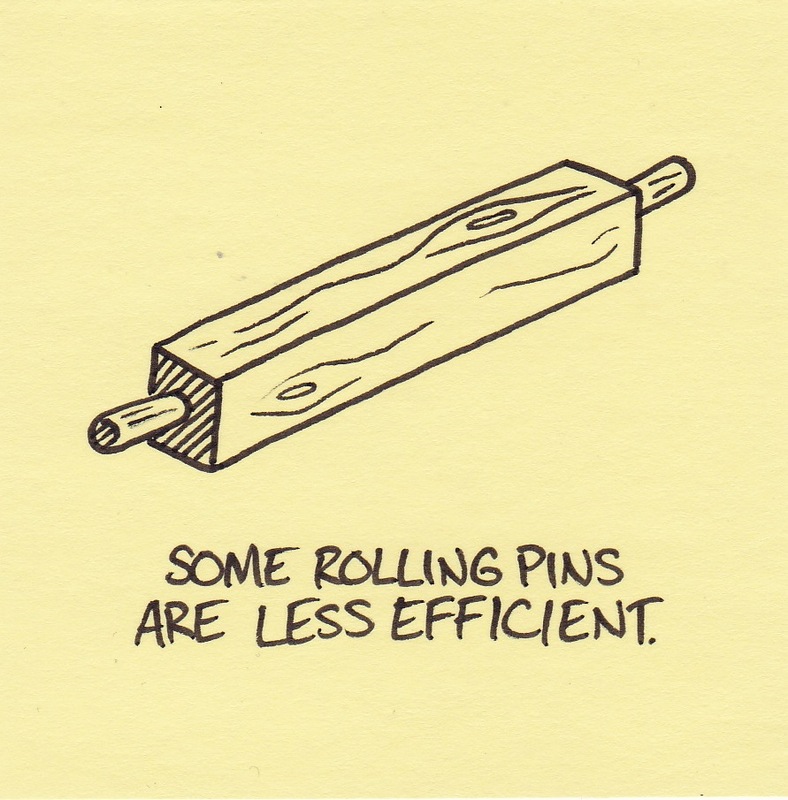 Some rolling pins are less efficient. My wife is a wonderful cook. She makes almost everything we eat from scratch. Soups, stews, rolls, cookies, breads, jellies, lasagna, pies, refried beans, pizza, cakes, biscuits, manicotti, kringle, and anything/everything else. I hope nothing ever happens to her. We can’t afford a chef. 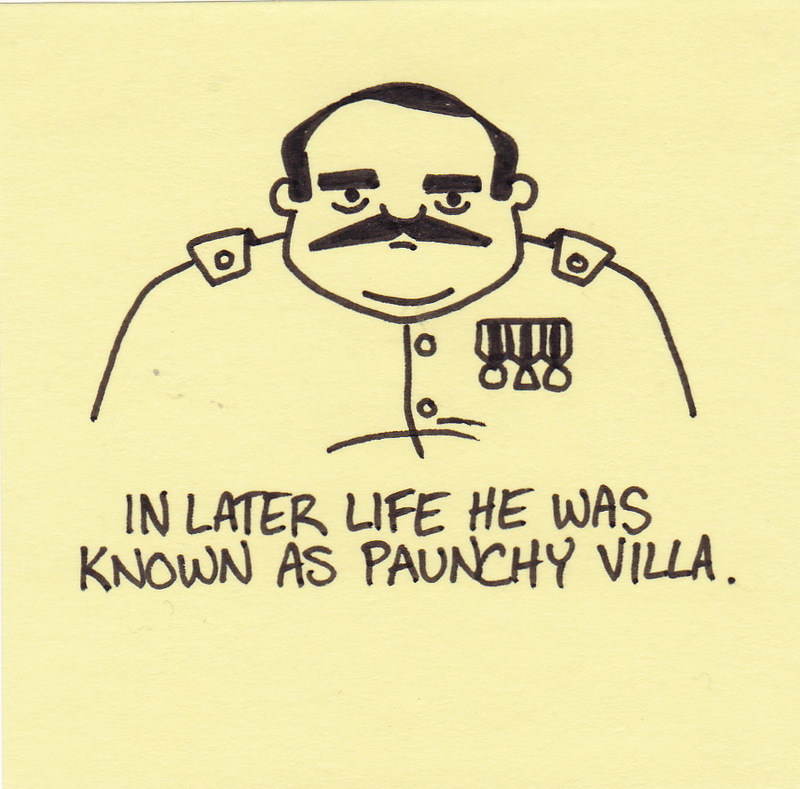 In later life he was known as Paunchy Villa. Thank you to everyone who has (and continues to) visit, comment, and generally boost my ego. 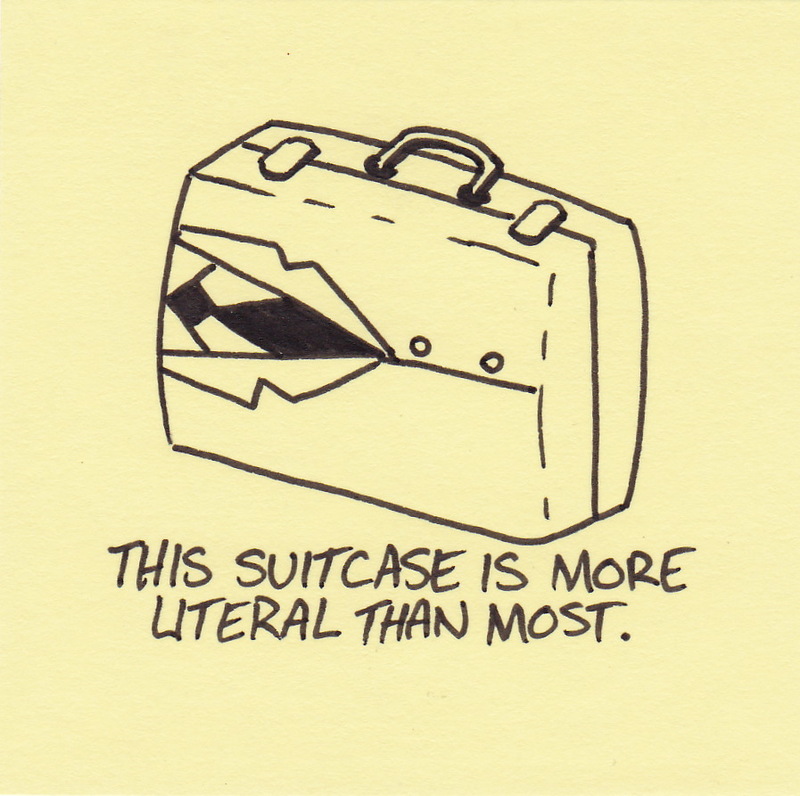 This suitcase is more literal than most. Whew. It was quite a week and I’m glad it’s the weekend. I plan on sleeping in, lazy afternoons, and plenty of doing whatever I want! Forget the original plans and 3D Beauty and the Beast it is! 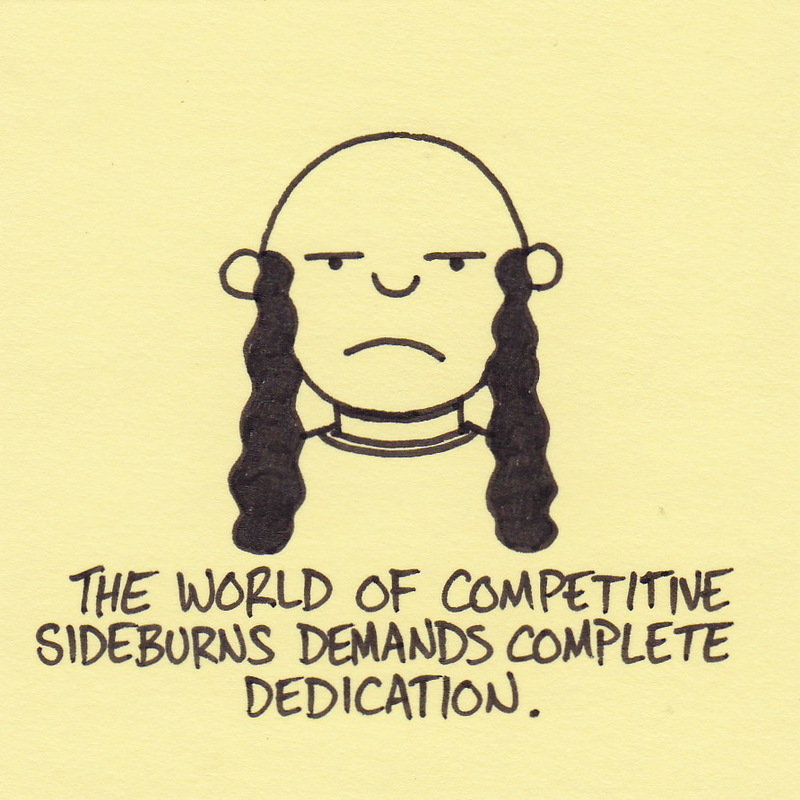 I don’t know if there actually is a world of competitive sideburns. I’m going to assume there is because there are so many ridiculous pseudo-sports out there. In terms of interest, I would rank competitive sideburns just below hot dog eating and just above curling. 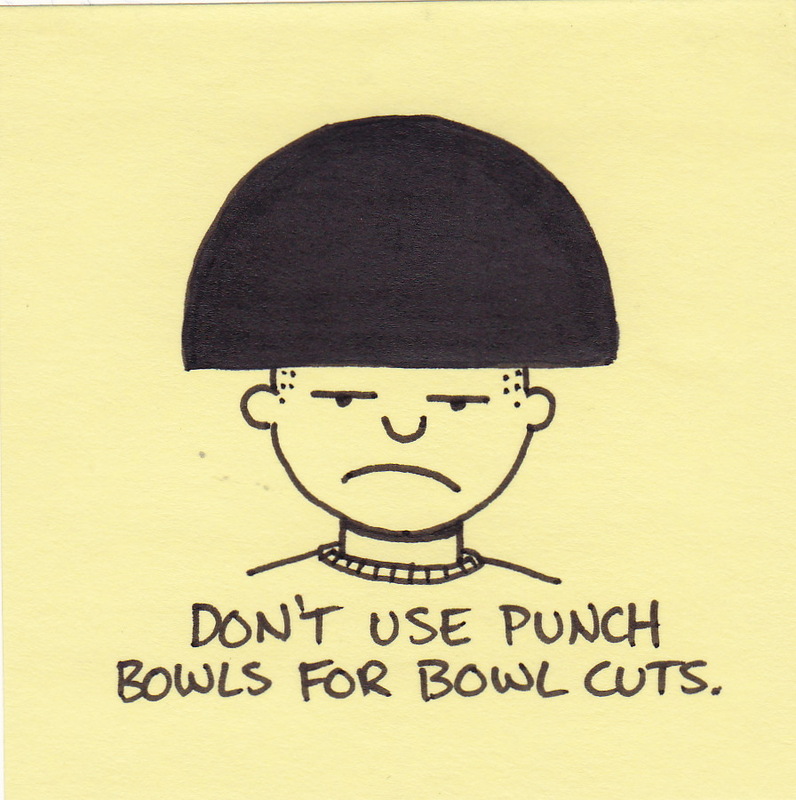 Don’t use punch bowls for bowl cuts. When I was young, my haircuts always alternated from bowl cuts to buzz cuts depending on the season. This wasn’t because either were particularly stylish, it was simply because my Dad cut the hair in our house. His tools were simple: one electric clippers, one neck duster, and an ancient pair of thinning shears. The shears were a relic from the 30’s (last sharpened pre-WWII), the electric clippers were actually intended for dog grooming, and the neck duster had stiffened with age to the point that it felt less like bristles and more like a wire paint stripper. Not exactly fond memories, but memories nevertheless. This week I realized something about myself. As I get older my socks are getting longer. 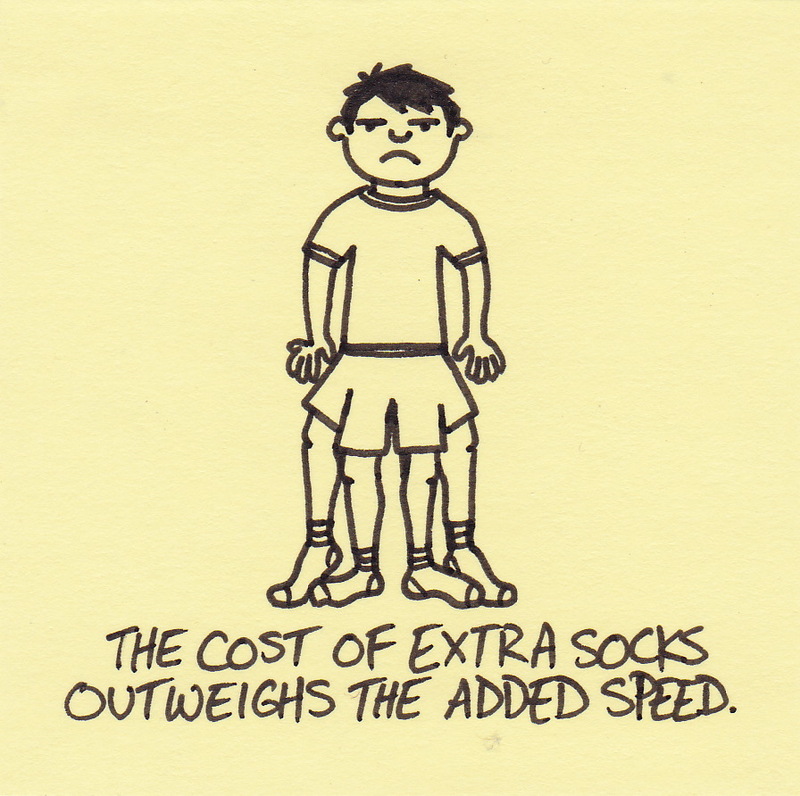 When I was a teenager, I wore those really short running socks that are virtually invisible when wearing shoes. In college, I preferred slightly longer ankle socks. In my mid-to-late-twenties it was crew socks. Currently, I wear mid-calf hiking socks that are dressy enough to match my daily shirt and slacks outfits. If I’m not careful, I may find my eighty year-old self staring at a drawer full of Renaissance-style tights. You are currently browsing the Inkjot blog archives for January, 2012.